TECHRIGHTS has been writing about the relationship between the UPC and software patents for over 5 years. How is this even possible? Well, before it was called UPC (or Unitary Patent) it was known as all sorts of other things and promoted by other politicians such as Charlie McCreevy and Michel Barnier. Over the weekend Richard Stallman said that European software patents are back with the Unitary Patent Court (UPC). 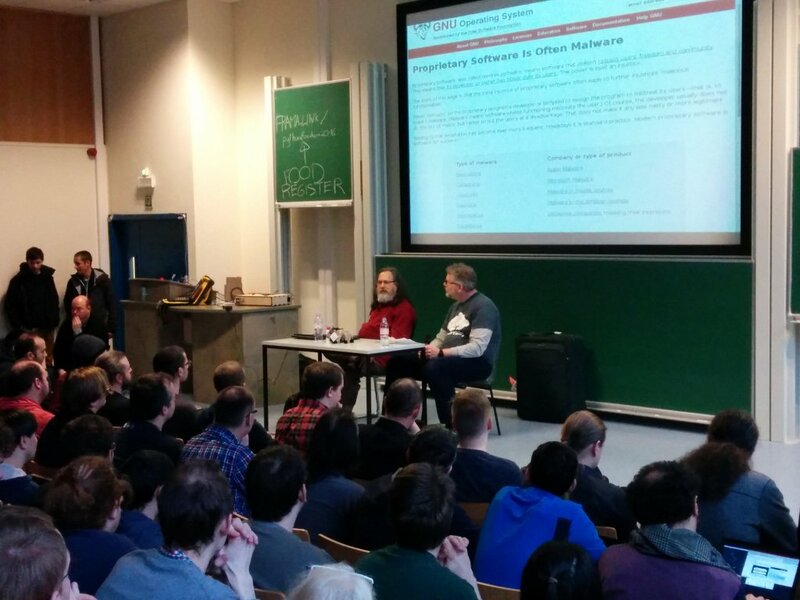 The FFII has written extensively on the subject back when it was more active and its current leader, Benjamin Henrion, has just given talk about the topic at FOSDEM (near where he lives). We have waiting for all the related material to become available (especially in a format that’s not encumbered by a lot of software patents) before publishing along with slides, which can be found here [PDF]. “Some people are getting extremely rich at the expense of everybody else and innovation is orthogonal to the patent system, if not impeded by it.”“My FOSDEM slides about Unitary Software Patents are here,” he wrote on Monday morning (24 hours after the talk) and when asked about the video he wrote: “You might wait for long, they are not very fast those FOSDEM guys.” Well, we might therefore have to post the video separately at some stage (a later date), along with videos of OIN’s talk (and maybe others’). Henrion also said he had intended to write to FOSDEM about the formats of videos, as this has become truly a disaster (never mind the widely-reported streaming issues which the overseas spectators experienced over the weekend). Henrion (known as “zoobab” online) happened to have noticed that the head of the USPTO showed her true colours. Michelle Lee was apparently willing to meet software patents boosters and blowhards (whom we call “WatchTroll”). It says a lot about lack of integrity or the inappropriate (at times even incestuous) relationships between USPTO officials, USPTO examiners, and patent lawyers. One of them, who runs the site Patent Progress (not active as of late), is a fine example of this because of his wife’s occupation.